On Sale Now! 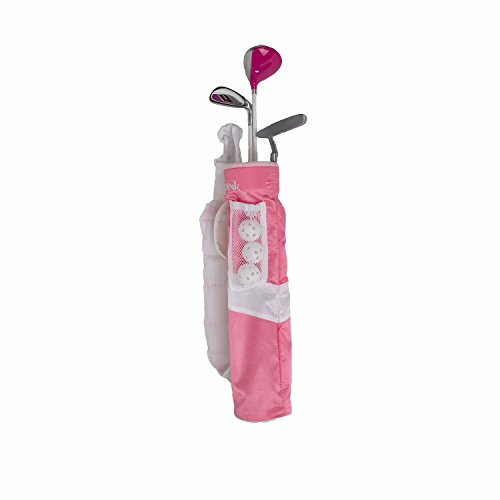 Save 3% on the Merchants of Golf 20310 golf club complete sets, Pink by Merchants of Golf at Village Green Golf. MPN: 20310. Hurry! Limited time offer. Offer valid only while supplies last. The Merchants of Golf Tour x junior golf sets are great for beginner golfers. Ages under 5. Under 3'2'' in height. Ages 5-7. 3'2'' to 3'10'' in height. The Merchants of Golf Tour x junior golf sets are great for beginner golfers. Ages under 5. Under 3'2" in height. Ages 5-7. 3'2" to 3'10" in height. Includes: 1 - oversized driver. 1 - perimeter weighted 7 iron. 1 -heel-toe weighted PUTTER. 1 - carry bag. 3 - plastic golf balls.